global MSP case study: optimizing contingent workforce performance. Home » whitepapers, case studies and more » global MSP case study: optimizing contingent workforce performance. How does a global, diversified technology manufacturer maintain a competitive advantage? For this highly recognized brand, it's all about using the right talent at the right time in the right place. Read this case study to learn about the company's transformational journey to optimize its flexible workforce around the world with a global approach to its managed services program (MSP). Find out how the manufacturer is enhancing visibility, saving millions and improving the quality of its contingent workforce, all while boosting hiring manager satisfaction. think you're ready for global MSP? After you've read the case study, find out how you can expand your contingent talent management program and get more value out of your MSP. Request your copy of the MSP Playbook! Explore key trends impacting workforce planning in the Asia Pacific region, such as talent landscape, employment data, economy, and technology development. MSP series: expanding your managed services program. Whether you're considering global MSP or evolving into a total talent model, find out what steps you should take to set your MSP expansion up for success. Read on to learn how a collaborative relationship with your MSP provider can help you maximize the value of your contingent workforce program. MSP series: change management strategy that drives success. Get tips on selecting your managed services program (MSP) implementation team, working collaboratively with internal stakeholders, and building strong relationships with suppliers and your provider. MSP series: 8 benefits beyond cost savings. MSP series: building a business case for MSP. white paper: women and automation. Chief diversity & inclusion officer, Audra Jenkins explains how automation trends are expected to impact workforce gender diversity in the future. white paper: harnessing HR technology to advance talent strategies. 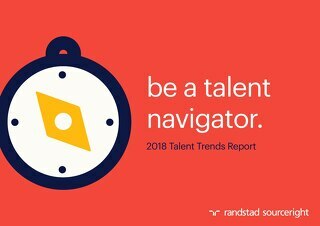 Read Randstad Sourceright's white paper, "harnessing technology to advance talent strategies" to understand how to align HR technology strategy with your business needs. 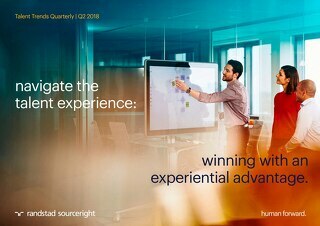 Talent Trends Quarterly: navigate the talent experience. 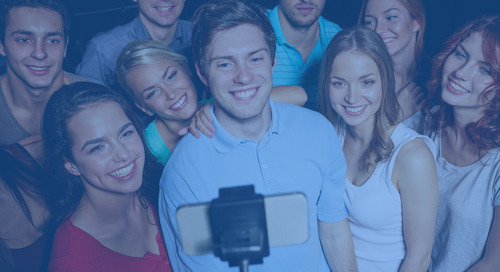 case study: Communisis enhances talent attraction with employer brand strategy. Learn how a strong employer value proposition is helping Communisis drive its employer branding strategy and enhancing talent acquisition in this new case study. A global medical health and diagnostics leader scales contingent workforce supplier capabilities and supports company expansion with an integrated MSP solution. Learn how this multinational professional services leader beats the competition for high-quality talent during peak hiring seasons with a blended RPO and MSP talent model. Find out how the organization is now slashing time to fill, supporting compliance goals and enhancing diversity hiring initiatives with our RPO. RPO case study: global insurance leader scales operations ahead of schedule. How our RPO including employer branding services, HR technology support, and talent analytics and sourcing expertise helped the financial services leader meet its goals ahead of schedule. MSP case study: consumer products provider boosts workforce agility. RPO series: 5 tips for working with your RPO provider. Five tips for working effectively with your recruitment process outsourcing (RPO) provider.